No stranger to bird lovers and forest trekkers in Malaysia, guide Andrew Sebastian has more tricks up his sleeves in promoting ecotourism and habitat conservation than anyone can imagine. Gaia Discovery’s Mallika Naguran catches up with the bird expert to find out more about the Wallace and KampungKu projects through Sebastian’s own NGO - Ecotourism & Conservation Society Malaysia, and about his views on how tourism can help raise ecological awareness. KUALA LUMPUR, 1 June 2018. Andrew Sebastian can be found at the edge of rushing rivers in search of rare birds or deep in the forest mingling with the aboriginal folks in Malaysia, also called the orang asli, to get them to become environmental stewards. A Malaysian ecotourism expert and licensed nature/bird guide, Sebastian wears many hats. Sebastian is a co-founder of the Asian Bird Fair Network (ABF) and the Wild Bird Club Malaysia (WBCM). He is also the Co-Founder and CEO of the Ecotourism & Conservation Society Malaysia (ECOMY), through which nature and guiding courses are being offered and consulting projects, like the one on digitising specimens found by Alfred Wallace, which he tells us more in this interview with Gaia Discovery. Can you describe what you do in a typical month? I am out in the field almost all weekends. Depending on which hat I’m wearing, the field trips are often to train, guide people or to survey sites and network with like-minded people. As an example, I was just at Papua New Guinea and Sulawesi running a bird tour. These places are incredible with numbers of endemic birds such as Birds of Paradise. Closer to home, my usual route would be to the biodiversity rich sites such as Frasers Hill and Taman Negara. People who join me on field trips are members of the local community who are interested to learn about nature and to take part in ecotourism activities. What in a nutshell is ECOMY all about? We are trying to build an army of naturalist, guides or nature interpreters - to connect people with nature. Why? There is an obvious disconnect between the modern man and the natural world. Gadgets, e-media, politics and socio-economics have contributed to a severe lack and appreciation of Mother Nature and a balanced existence. What were some highlights and outcomes of the Wallace project? 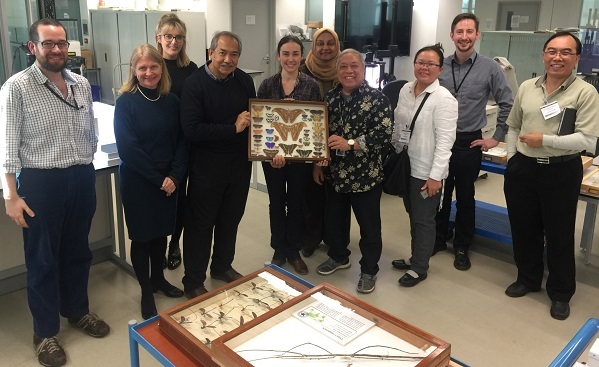 The Wallace Project is a ground-breaking initiative to digitise specimens collected by world renowned naturalist, Sir Alfred Russel Wallace and other interesting Malaysian specimens held at the British Natural History Museum. 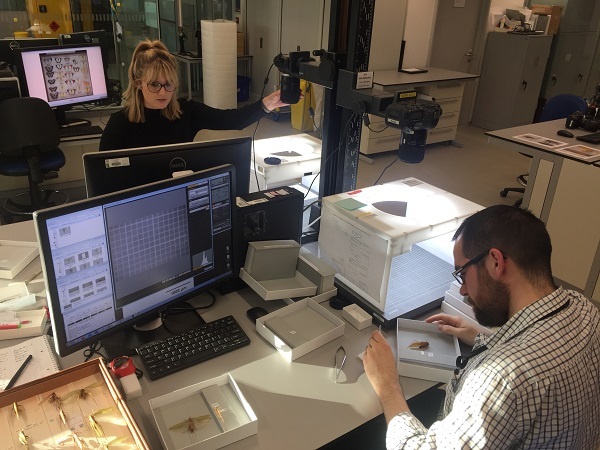 The project, which will be launched soon, also has built a portal for local researchers and curators to gain and share access to study these important specimens. The Project has been on-going with our partners Yayasan Hasanah since the beginning of March 2017. Some of the interesting highlights are the communities of people we have engaged within Serumbu Hill (Peninjau) who maintain a trail popularly known as the Peninjau Wallace Trail. This is one of the very trails that Wallace used in 1854 when he was a guest of Sir James Brooke. Our project has taken historical data to create an ebook for the local community to use to promote the trail. Visitors planning a trip to trace the footsteps of Wallace will also be able to download the ebook as reference before they arrive at the site. The ebook features updated information on the trail, facilities, local guide contact and images of specimens collected by Wallace. We have also formed networks amongst researchers and curators in academia and linked ourselves closely with the natural history museum in London - the makings of a key partnership between different levels of stakeholders. attention in terms of their vulnerability? Many birds face an uncertain and bleak future here in Malaysia and the Helmeted Hornbill is a good example as it was just classified as ‘Critically Endangered’ by the IUCN. In terms of insects, the synchronous firefly’s colony in Kuala Selangor stands out as a wonder we must all protect. Their numbers are in decline and serious efforts must be made to conserve and rehabilitate their habitat. The cause of the decline is mainly pollution and degradation of the water quality, plus the clearing of river reserves and mangroves close to the site. Improve enforcement resources of agencies involved, engage local communities to help be stewards and enrich/expand/conserve core ecological sites and their buffer zones. Impose stricter penalties and enforce high standards of care and ecotourism. Can tourism help with conservation? How? Yes, if ecotourism can be allowed to succeed, conservation will follow. Example, if the nature guides and local businesses can make a good living at our protected areas, the stakeholders and local community will be champions in the protection of such a site. A good case study would be the local guides at Taman Negara that campaigned against the development of a sturgeon farm along the Tembeling River due to the risk that such species, if accidentally released into the river, will have devastating effects to the local fish. How can people help out with conservation through ECOMY? Support the cause - embrace an eco and nature friendly lifestyle. Join our events, educate your friends and families. Join and promote real ecotourism activities. What are some upcoming projects in the next couple of years? Kampungku, a signature project of ECOMY to assist Orang Asli communities living in and around core ecological sites such as Kampung Dedari (along the Tembeling River) will need volunteers and funds. We want to expand throughout the country and create ecotourism potentials. We are also holding nature-based short courses. We want to create and continuously run camps, talks and trips to connect people with nature. From wildlife watching to training nature guides, to conducting photography courses, we want to do it all. I understand that you studied law. What made you move from the world of lawsuits to one of nature? I have a law degree and Certificate of Legal Practice, worked for a little while at a law firm but never went into practice. I had a blessed childhood. My father was with the Forest Research Institute Malaysia (FRIM) and later on with the Forestry Department. We lived in FRIM for over 20 years with very few neighbours but lots of plants and animals... so I caught the nature bug early on. I was President of my Nature Club as well in school. While in the law firm, a familiar face, Tan Sri Salleh Md Nor who was the Director General of FRIM & also President of Malaysian Nature Society (MNS), walked in for some legal work, saw me and suggested that I should devote some time with environmental NGOs. I then planned a one-year break from law but it’s now been 23 years! Keen to know more about ECOMY projects or to be a volunteer? Visit ECOMY's site here.